Morwhenna. 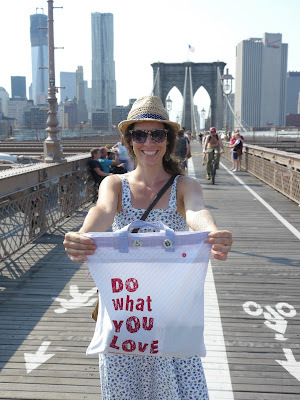 The Creative Adventurer: Bags of Love for New York! Bags of Love in New York! Have been busy getting things ready for the Pop-up shop opening next week - have to admit to feeling a tad overwhelmed (and excited of course) about it all! I gave a talk yesterday about my 'project/business' to a great bunch of people at a carers centre in Bath. The group is run by Clive, who I know through my previous job and on hearing what I'd been doing asked me if I would share my 'journey so far' with them. I wasn't sure what they would be able to 'take away' from what I had to share - but thought - Yes I'd love to. Even if it helps one person then that's good enough for me! The group meet on a monthly basis to talk about things like setting up a business, or help with their cvs if they are applying for positions and also developing their skills. Each person there cares for someone and so it's a huge challenge to be able to work in a way that is flexible enough for them. Yes, I was nervous - but they were very welcoming (the coffee and flapjacks were excellent!) and interested in what I was sharing with them. I needn't have worried has it was Fab! and everyone said they felt 'inspired' by what I was doing. WOW I thought! This is truly amazing! So talking to those people got me thinking about what other things I could possibly develop. Nothing concrete yet. Just some ideas. 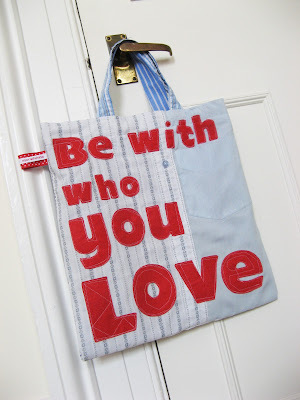 Second 'Wedding bag' off to new owner! 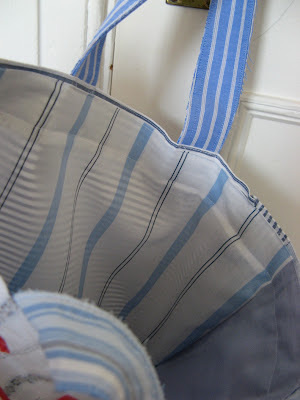 Today I've posted my second commissioned wedding bag, and hope that they like it! After seeing the one I'd made for Sara to use in her wedding photoshoots, a friend of mine asked me to make her one as a present for her sister. As each one is unique it's different again and as this was for a 'non-pink' person I've used blues. I'm pleased with how it looks - but hope the bride loves it! This week I've also ordered my 'numbering' screen so I'll be able to print the bag numbers on each bag. Can't wait for that to arrive. Fingers crossed will be here tomorrow! I've had over 20 requests to take part! and they are still coming in! It closes on the 31 July so I wonder how many I'll have had by then. Then the challenge of deciding who will be taking part will begin..